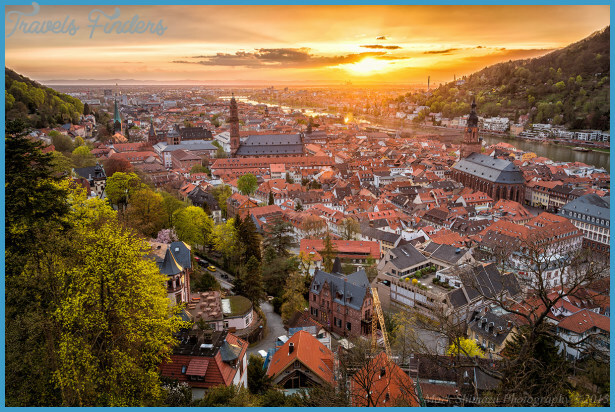 Sun-drenched Heidelberg (pop. 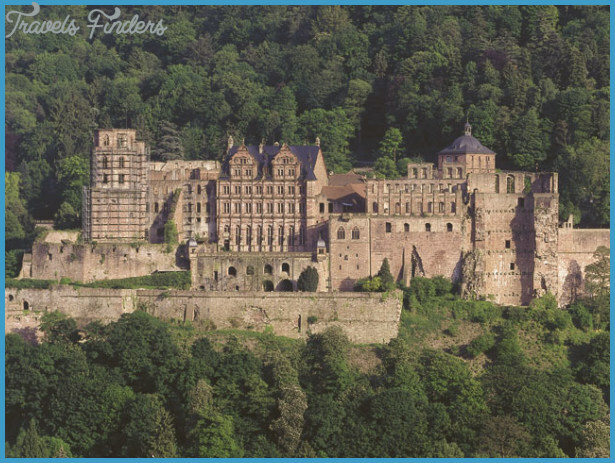 141,000) and its crumbling castle once lured writers and artists, including TVain, Goethe, and Hugo. Today, legions of camera-toting fannypackers fill the length of Hauptstr. where postcards and T-shirts sell like hotcakes and every sign is posted in four languages. 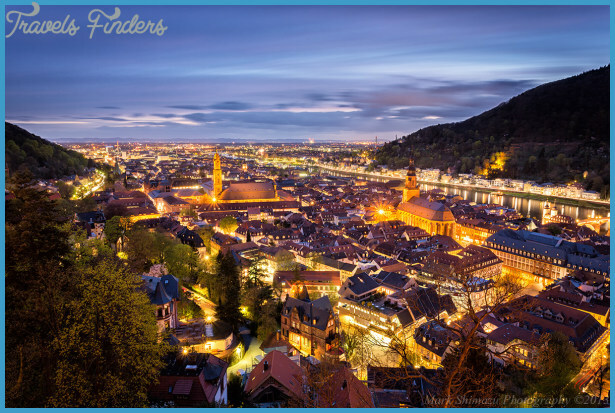 But even mass tourism can’t mar the experience of Heidelberg’s beautiful hillside setting, Germany’s oldest university, and its enviable nightlife. Trains run to: Frankfurt (50min. 2 per hr. ‚13) and Stuttgart (40min. 1 per hr. ‚16); other trains run regularly to towns in the Neckar Valley. 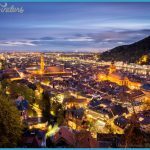 On Heidelberg’s public transportation system, single-ride tickets cost ‚2; day passes (‚5) are available from the tourist office. The Rhein-Neckar-Fahrgastschifffahrt (201 81), in front of the Kongresshaus, runs ferries all over Germany and provides round-trip Neckar cruises to Neckarsteinach (3hr. Easter-Oct. 9:30am-3:30pm, ‚9.50). 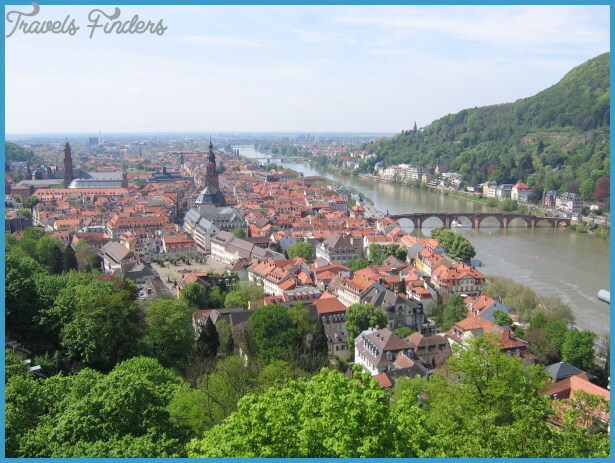 Most of Heidelberg’s attractions are in the eastern part of the city, along the south bank of the Neckar. From the train station, take any bus or streetcar to Bismarckpl. then walk east down Hauptstrafte, the city’s spine, to the Altstadt. The tourist office, in front of the station, books rooms for a ‚2.50 fee and a small deposit. ( 13 88 121. Open Apr.-Oct. M-Sa 9am-7pm, Su 10am-6pm; Nov.-Mar. M-Sa 9am-6pm.) 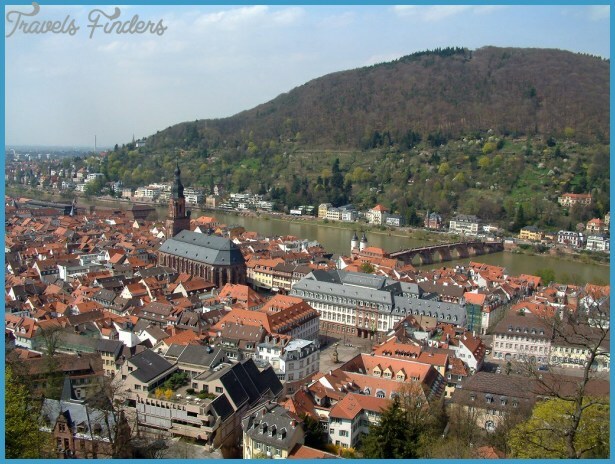 They also sell the 2-day Heidelberg Card, which includes unlimited public transit and admission to most sights (‚12). Check your email at Mode Bredl, Hauptstr. 90, near Bismarckpl. 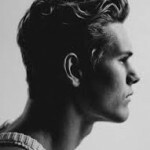 (‚3 per 30min. Open M-F 10am-7pm, Sa 10am-6pm.) The post office is at Sofienstr. 8-10. (Open M-F 9am-6:30pm, Sa 9:30am-lpm.) Postal Code: 69155. Most popular nightspots fan out from the Marktplatz. 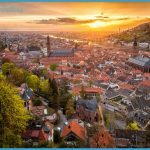 On the Neckar side of the Heiliggeistkirche, Unter Strafie boasts the most concentrated and congested collection of bars in the city. HauptstralSe also harbors a fair number of venues. Nachtschicht, in Landfried-Komplex (43 85 50; www.nachtschicht.com). University students jam to a variety of music in a basement resembling an old factory. Cover ‚3.50; M and F students ‚1.50. Open M and Th-Sa 10pm-4am; W 10pm-3am. Zum Sepp’l, Hauptstr. 213. This age-old student lair, accented by stained glass windows, hosts a loud crowd and piano player M-Tu and F-Sa. Open M-F 5:30pm-midnight, Sa-Su llam-2:30pm and 5:30pm-lam. Schwimmbad Musikclub, Tiergartenstr. 13. Convenient for hostelers, but a trek for others. Four levels of live music, dancing, and movies. Open W-Sa 8pm-3am. 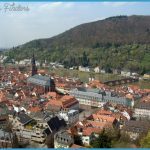 DAYTRIP FROM HEIDELBERG: NECKARSTEINACH. 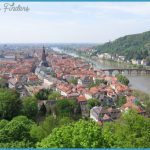 Fourteen kilometers, upstream from Heidelberg, Neckarsteinach is a fishing village made famous by its four picture perfect, nearly untouristed castles. The two westernmost castles stand in romantic ruin, while the two to the east are privately occupied and not open to visitors. 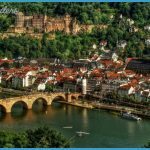 All lie within 3km of one another along the north bank of the Neckar river and can be reached by foot via the Burgenweg (castle path). From the train station, turn right on Bahnhofstr. turn left on Hauptstr. and follow the bend in the road; a red stone cross marks the beginning of the Schlojisteige (Castle Stairs), a brick path leading upward to the Burgenweg. Fireworks light the sky above the town on the second Saturday after Pentecost in June and on the last Saturday in July for the Vierburgenbeleuchtung (four-castle lighting). 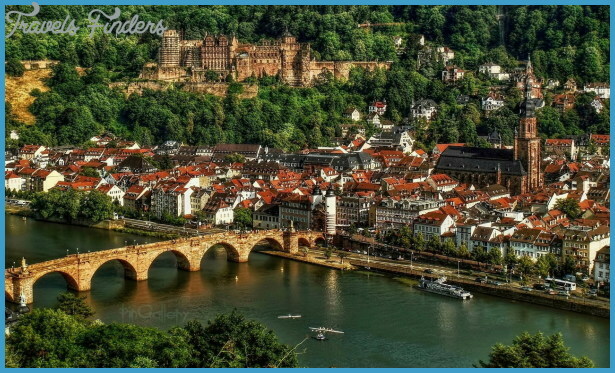 Trains connecting Heidelberg to Heilbronn run through the Neckar valley, a thickly-forested stretch running north through Bad Wimpfen, Burg Guttenberg, Hirschhom am Neckar, and Neckarsteinach. 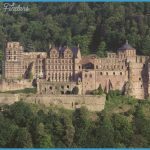 Castles dot the hilltops of the valley and form part of the Burgenstrafie (Castle Road), which stretches from Mannheim to Prague. Local buses also traverse the Neckar Valley; often these are faster than the infrequent trains. Schedules are posted at bus stops. The tourist office, Hauptstr. 15, has a list of private rooms. ( 06229 920 00. Open M-Tu and Th-F 8:30am-12:30pm and 2:30-6pm, W 8:30am-12:30pm, Sa 8:30am-lpm.) Postal Code: 69239.